A genuine $5 US Gold Eagle is featured in our twist mount in 14K solid gold. 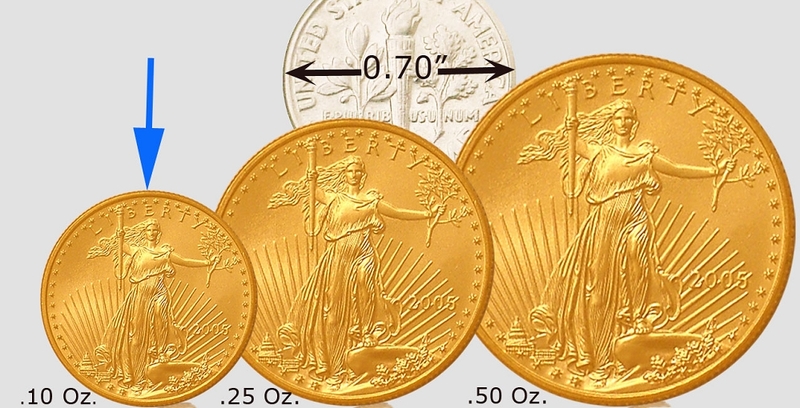 The coin is 16.5mm in diameter and contains .10 troy oz. of 22K solid gold. Choose a coin year of personal significance. Included is the finest quality 20 inches of solid-link 14K solid gold chain made. Its link diameter is 1.4mm and weighs 2 grams. 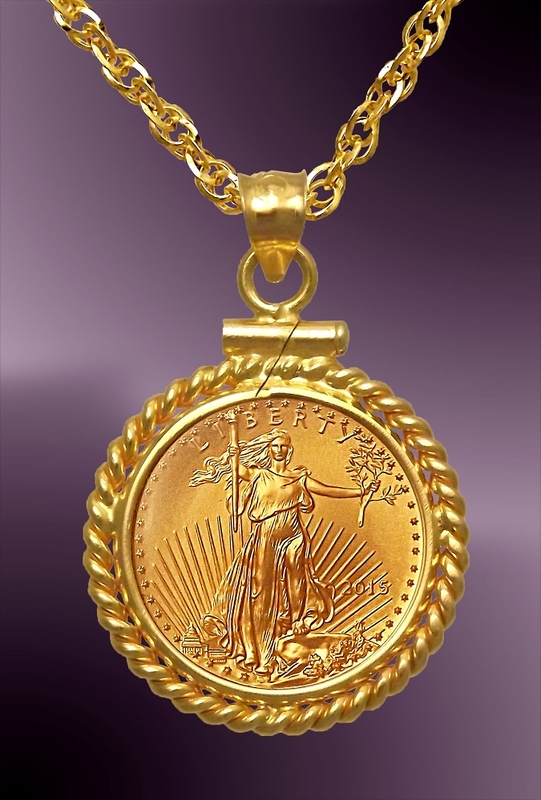 Make a statement with this genuine $5 US Gold Eagle, featured in our 2.16g 14Kt solid gold twist mount. The coin is 16.5mm in diameter and contains .10 troy oz. of 22K solid gold. Choose a coin year of personal significance. Optional Aurista's exclusive LensCote polymer to protect the coin into the next millennium. Included is the finest quality 20 inches of solid-link 14Kt solid gold chain made. Its link diameter is 1.8mm and weighs 2.2 grams.